Last month, Egged Bus Systems (EBS), a subsidiary of Egged Israel Transport Cooperative Society, Israel’s largest public transportation operator, lost a bid for a decade-long contract to run public transportation in the North-Holland region of the Netherlands. 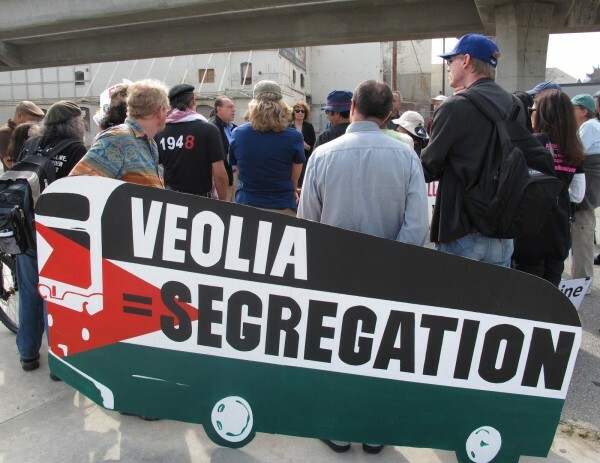 The Boycott, Divestment and Sanctions (BDS) movement and its worldwide partners are celebrating the withdrawal of the huge French corporation Veolia from the Jerusalem Light Rail (JLR), an illegal rail system built to facilitate the growth and expansion of Israeli colonial settlements on occupied Palestinian territory. One year ago today, Israel launched a brutal military attack on the Palestinian population of the occupied and besieged Gaza Strip. More than 2,200 Palestinians were killed, including 551 children, and more than 10,000 people were seriously injured and hundreds of thousands were made homeless, forcibly displaced and trapped inside Gaza. St. Louis City Board Votes to Investigate Veolia Following Public Outcry! St. Louis, Missouri — At 2:30pm on Wednesday, December 19, 2012, at a standing-room only meeting in the mayor’s office for the St.
Norway’s finance ministry has excluded Shikun & Binui from the Government Pension Fund Global (GPFG), the largest pension fund in Europe, over its construction of illegal Israeli colonies in East Jerusalem. Analysts have described the company as Israel’s largest real estate business. A new Boycott, Divest and Sanctions (BDS) campaign was launched this summer by the United Church of Canada, which will try to persuade six companies operating in Canada — Caterpillar, Motorola, Ahava, Veolia, Elbit Systems and Chapters/Indigo — to stop supporting the Israeli occupation. “The Campaign follows similar campaigns launched some time ago by the US Presbyterian Church and the New England Conference of the United Methodist Church. We have launched ‘Occupied with Peace’ after almost two years of discernment and information gathering,” says spokesperson Jean Lee. 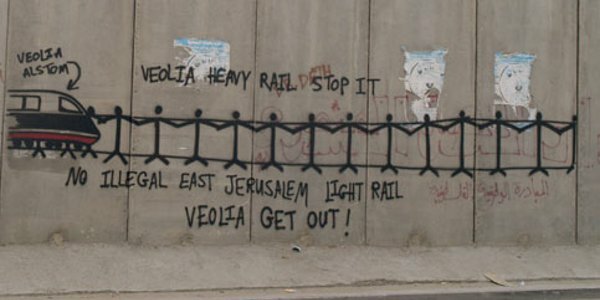 As Palestinian organisations dedicated to the protection and promotion of human rights in the Occupied Palestinian Territory (OPT), we are concerned about the involvement of corporations in violations of international humanitarian law.